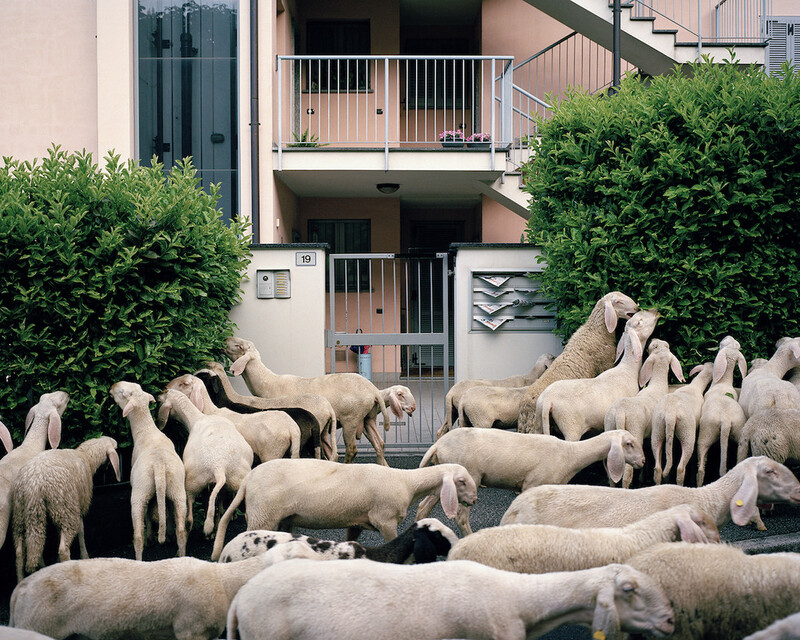 In an urban landscape of glass storefronts and concrete apartment blocks, the last thing one might expect to find rounding a corner is a flock of sheep. 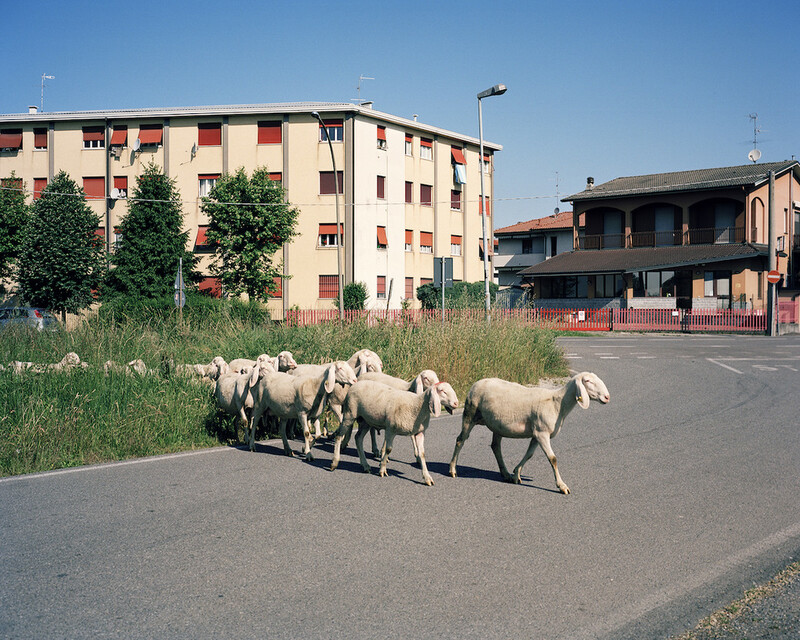 And yet during certain times of year in Italy’s Po Valley, the animals pass through towns in vast groups, their little hooves clicking on the asphalt. 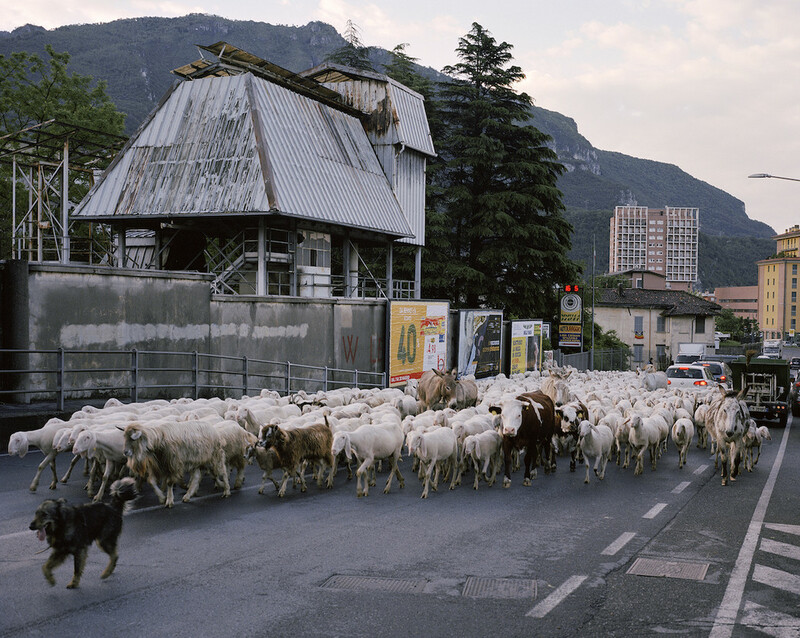 Drivers in Lecco or Vimercate stare from their cars at this strange procession of livestock, which seems out of another time and place; some of the stalled onlookers, it must be said, are more amused than others. 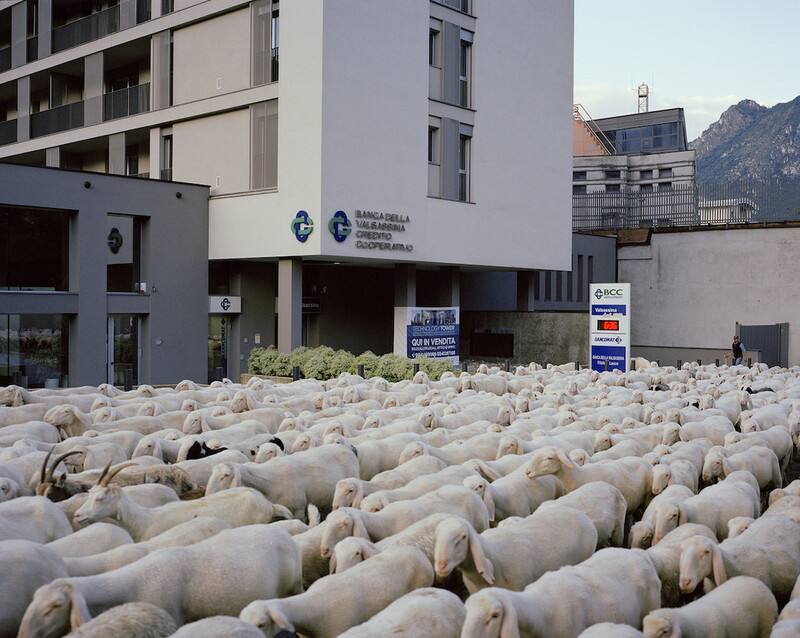 The transfer of thousands of Italian sheep from mountain pastures to alluvial flatlands remains an annual occurrence in Lombardy, as it does in the Po Valley regions of Veneto and Piemonte. 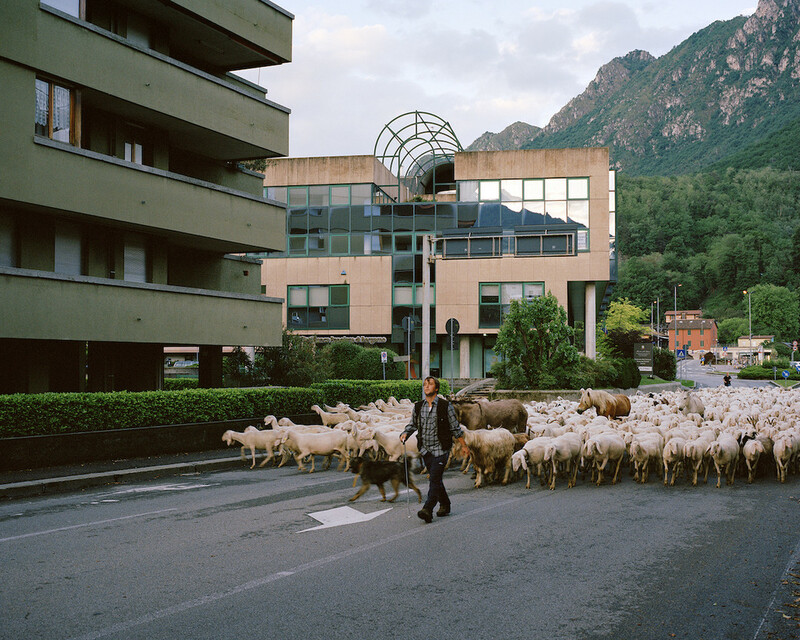 Known as transumanza—or 'transhumance'—this is one of northern Italy’s oldest agricultural traditions. 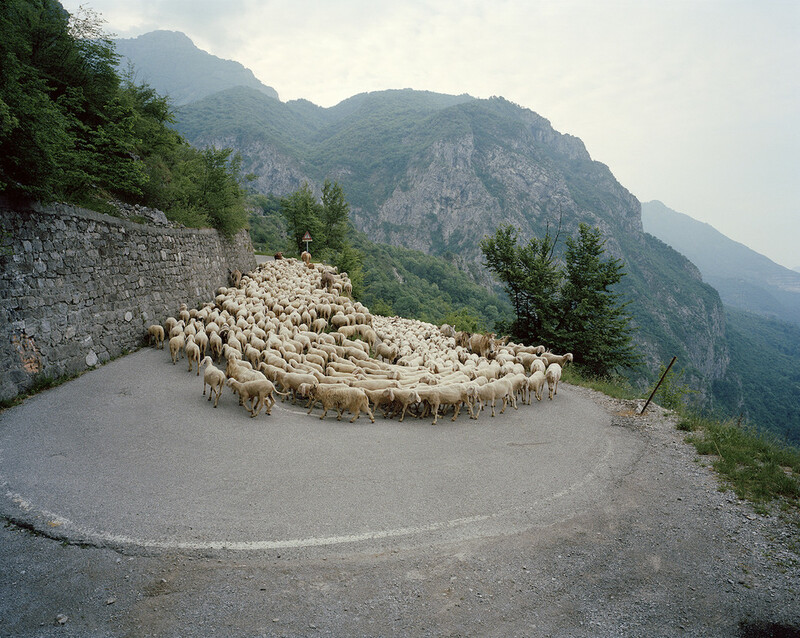 For between 10 and 20 days the flocks move along centuries-old migration paths called batida that run from the Po Valley to the Alps. The shepherds keep a map of these routes in their heads. Every year, however, modernity encroaches a bit more. Developers break ground on old farmland. A field that has been wild for centuries becomes a shopping mall or parking lot. 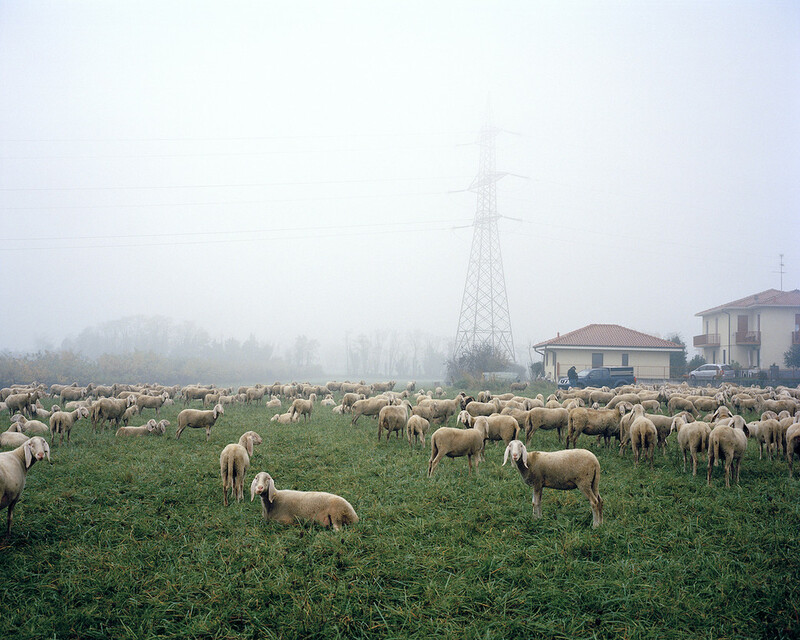 Lombardy is Italy’s most commercially productive region, after all. 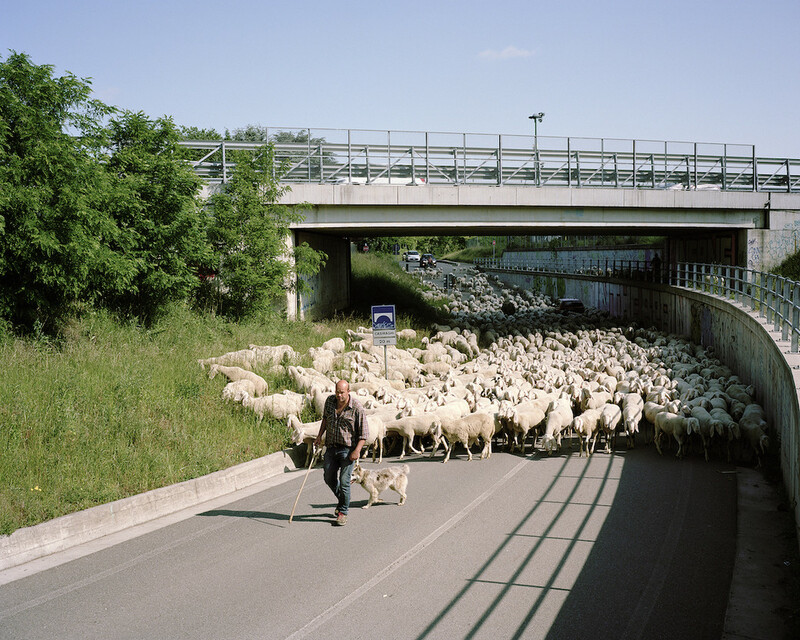 The shepherds adapt, finding new ways back home as old guideposts disappear. Another interesting change: instead of being shorn for wool, as would have once been the case, most of these sheep are now slaughtered for halal lamb and mutton, popular commodities for the region’s growing Middle Eastern community. Nonetheless their main predators continue to be wolves and bears, which often chase them off ravines in the highlands. Approximately 60 flocks make the trip back and forth each year, with each containing 1,000 to 1,500 animals. While they may seem a charming relic, these seasonal movements (up to the mountains in spring, back again in fall) have a symbolic relevance that is both timeless and evolving. 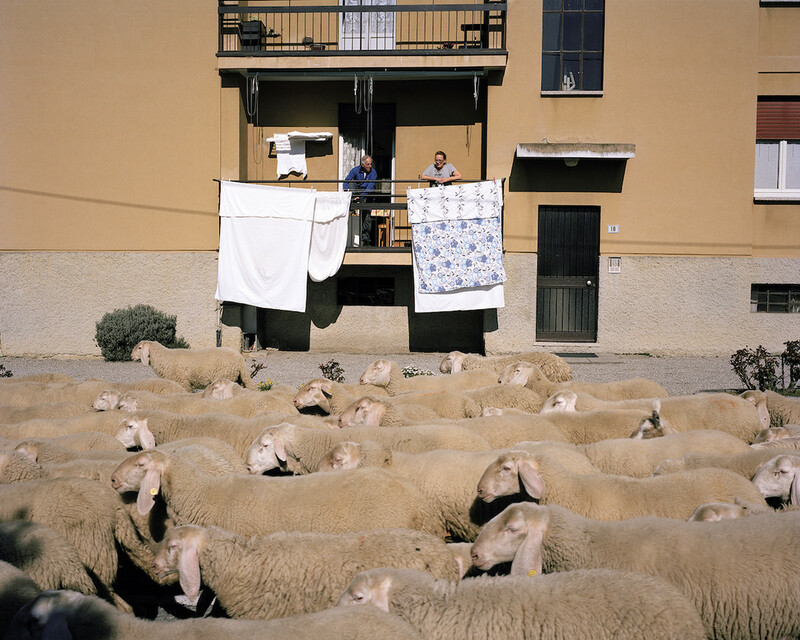 In predominately Catholic Italy, the image of the shepherd remains a potent metaphor. Meanwhile, migration—of the human variety—is arguably a hotter topic in Italy nowadays than religion. Some complain about the bottlenecks and droppings caused by transumanza. But shepherds inform town councils in advance of their arrival, and cross major roads at dawn to minimize the disruption. The mass passage of sheep through areas that were clearly not designed for them seems to enthrall children in particular. But grown-ups aren’t immune to the surreal charm of it, either. 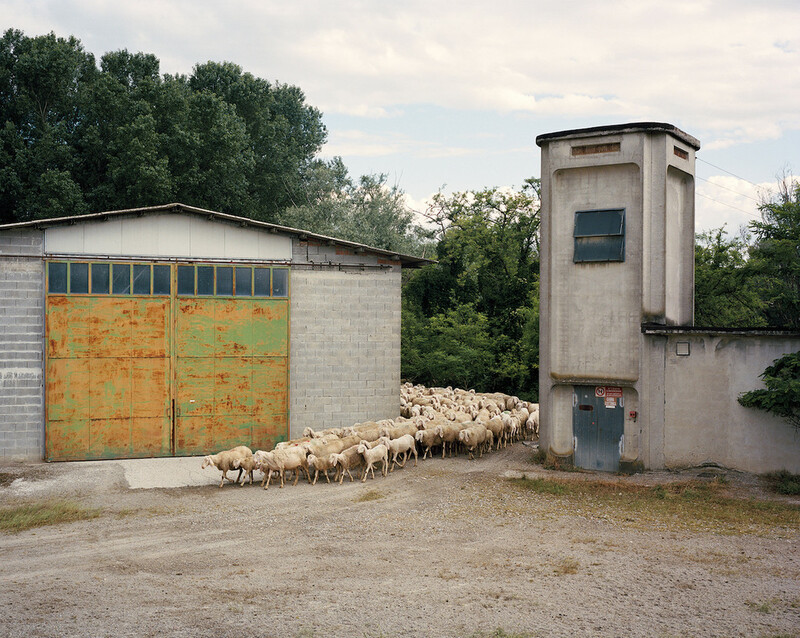 For more, see Stefano Carnelli, Transumanza (Berlin: Peperoni Books, 2016.) These photos are used with permission.